Following are some common questions on the Hua Tou Method, with answers provided by Master Sheng Yen, published in the Ch’an Newsletter in 1983. Q: What is the hua-t’ou method and how is it related to the great doubt? A: The hua-t’ou is a question that you ask yourself as a way of practice. Hua means words, t’ou means head or source. When we practice on a hua-t’ou we are trying to find out “What is there?” before the application of any literal or symbolic description (or hua). In the beginning of the practice, there is no doubt to speak of. It is only when you are practicing this method very well that you will generate a doubt. When the practice grows to be more and more powerful, the doubt becomes a great doubt. At this point you are no longer aware of your body, of the world, or of anything. There is only one thing left, and that is the question, the great doubt. 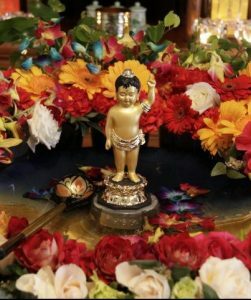 When people get to a genuine great doubt, and if they have very sharp karmic roots, it is possible for them to get enlightened, with or without the guidance from masters. But for people with only mediocre karmic roots, they may even fall into demonic states. The great doubt is possible only when the question of the hua-t’ou is important to them and they are seriously into the hua-t’ou. For someone who is not serious or ernest in seeking the answer to the question of birth and death, or what his original being is, and if he finds his life going on pretty well and he doesn’t genuinely care what he was before he was born or what he will be after death, for such peop1e, no matter how they try to ask themselves the question of a huat’ou, like “Who am I?” they probably will not generate a great doubt. Because the question is not important enough to them. Possibly, they can get a small or medium doubt. It is said that if you have a great doubt, you can have a great explosion — refering to the experience of enlightenment. If you only have a small doubt, you can only have a small explosion. If you don’t have any doubt, you cannot have any explosion. So before you have any explosion, you must be practicing to the extent that you essentially drop off attachment to anything, in a manner of speaking, not wearing a single inch of silk, that is, completely naked. But actually, even when a person is completely naked, there may still be a lot of things in his mind. One must practice until there is nothing left in his mind, he is just practicing on the hua-t’ou. Q: Does one need to use language to ask the question? Maybe words can lead to mechanical repetitions. A: Definitely, you have to use language. If you do not use language to ask the question, you may be sitting there with your eyes wide open and won’t be able to produce the doubt. We must have something to hold onto in our practice in order to exert our energy, and the hua (words) in hua-t’ou is that thing onto which we hold. If there is nothing to hold onto, there is no way to gather our mind together and the doubt has no basis on which to arise. To give an analogy, the hua is like a very long tangled cord in a basket and you don’t know how long it is. You are holding onto one end of the cord. You try to get to the other end to see what there is. What do you do? You keep on pulling the thread. There is a spring in the other end. So to get to the other end, you must continuously pull. Even if you stop for a moment, you cannot let go of your hold, otherwise the whole thing will be pulled back. You must exert your energy, never let go, keep on pulling. You can never be discouraged and ask — How come I still haven’t come to the end of the thread? You just cannot do that. You just continue pulling and pulling and pulling and then eventually you get to the other end of the thread and you discover that there is nothing there. This may seem very foolish. In the beginning there was nothing there, you find one end of the cord and you keep on pulling until you get to the other end, and see again there is nothing there. Why bother pulling it? It is not foolish. The process is a method. Before you go through this process, before you adopt this method, your mind is confused, your wisdom is non-existent. But after you have gone through this process, wisdom manifests. Q: Is it possible to practice Ch’an without using any Hua-t’ou, at all? After all, in ancient days, nobody ever heard of hua-t’ou. From Bodhidharma to the sixth patriarch, even the seventh patriarch, people didn’t know of any hua-t’ou. Why is it that after the Sung Dynasty using the hua-t’ou was promoted? Is it O.K. if we also do not use any hua-t’ou these days? A: Ch’an master Huang Lung once said to his disciple, “If I don’t give you a hua-t’ou to practice on and just let you go and find your own way, probably you will exhaust yourself physically and mentally and you still will not be able to come up with anything. In that case it will be I who have done you harm, not doing justice to your ability to practice.” Since the Sung Dynasty, people have very scattered minds. What made things worse — they have a lot of ideas and conceptions. Hence it is extraordinarily difficult for these people to practice if they do not have a hua-t’ou. Giving you a hua-t’ou to practice with (or to investigate) is like sewing your lips together with a needle and thread. You cannot open your mouth to talk. And then at the same time a person is beating you from behind, asking you, “What is your name?” You try to yell, to talk, to give reasons, but you cannot open your mouth. Using a hua-t’ou is precisely to block, to close your mouth. Not only your mouth, but also your mind. In this manner, possibly, a different condition can arise. 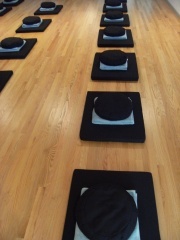 In the Ch’an retreats that I hold, I only let some of the participants use the hua-t’ou method. And among these people only very few got great benefit. But nonetheless, after a person’s meditation has got to a certain stage, it is important that I give him a hua-t’ou to practice on to see how much practice he can make with this method. 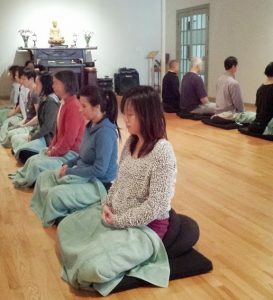 In one retreat, I told a student to use the hua-t’ou method. In the beginning, he wasn’t really “investigating” the hua-t’ou, but rather he was just reciting the hua-t’ou. After practicing for a while, he turned back to reciting again. And then he got to the stage of “asking” the hua-t’ou. But each time he asked, he answered himself. So each question was followed by an answer. This person and those who have never used hua-t’ou are exactly the same. Another person was also using a hua-t’ou method. She was meditating on the cushion and suddenly she began to yell at me “You’re just talking garbage, complete garbage.” I said, how can you say that? She continued to accuse me of deceiving people. It seemed that she had gotten something and her mind was very confused. Then she stormed out of the meditation hall and kept asking herself the new huat’ou: “Am I a man or a woman?” Some time later she came back to me as if she were about to pick a fight, telling me that “Regardless of whether you think you are a man or a woman, I am a woman.” That was an instance of genuinely investigating a hua-t’ou. One student, after using the hua-t’ou for a couple of days, found that the hua-t’ou simply disappeared. He thought that since the hua-t’ou disappeared he did not need to practice on it anymore. But I said, no, you still have to continue practicing on this hua-t’ou. If it disappears, relax for a while, and then go back to the hua-t’ou. If this student is to come back for another retreat with me, I will still tell him to use the same hua-t’ou. The hua-t’ou is the same, except that each time I would give him a different conception and explanation as to how to practice on this hua-t’ou. There was once a Ch’an master. Anyone who went to him, he would give that person the same hua-t’ou, namely, he would raise one finger. Always the same gesture. When I first read about this I was very surprised. Is raising one finger enough? Why does this master do the same thing for every person? Different sentient beings have different karmic roots, it would seem that always just raising one finger may not be useful. But now I understand that even though he only raised one finger actually that one gesture contains limitless possibilities and functions. Whether the same or many different hua-t’ous are used for different people all depends on how the master uses the hua-t’ous. Methods are dead, it is only when you use them in a living manner that they can be useful. So you can use many different hua-t’ous, but appropriately used, they are all the same. You can also use the same hua-t’ous in many different levels, and from different angles. There are many, many hua-t’ous, some quite resembling kung-ans. A famous one is before your parents give birth to you, who are you? Another example is: myriads of dharmas are reduced to one, what is this one reduced to? Q: How are these not kung-ans ? A: Hua-t’ou is a phrase, a sentence, or a question. You want to practice on it. You want to trace the meaning of this hua-t’ou to its source. However a kung-an basically is a complete event. You investigate into the whole incident and try to know what it is all about. An example is the story of Nan-Chuan and the cat. Two groups of monks were disputing which group owned the cat. When Nan-Chuan came back to the monastery, and witnessed the dispute, he grabbed the cat and said, “Say one thing and you can save this cat.” Nobody dared say anything. Nan-Chuan cut the cat into two halves. Later, an accomplished disciple Chao-Chou came back. When he heard the story, he put his shoes on his head and walked out. Nan -Chuan said,” If you had been here earlier, the cat wouldn’t have died.” To practice on this kung-an is to ask: what is this story all about ? Q:	What are Chi-feng and Chuan-yu (literally, sharp opportune actions and turning words) ? A: In general, Chi-fengs fall into two types. Sometimes a person is practicing on a hua-t’ou or a kung-an and he is working very, very well, and yet he cannot emerge into a new ‘state’. At this point, the master may give him a spontaneous, direct, sudden action (trigger). For example, somebody is very thirsty and you give him a glass of water. But right before he is ready to take up the glass of water and drink, you grab the glass away and smash it on the floor. And ask him, “Do you still need to drink water?” If this person has been practicing very well, such an incident may help him tremendously. This is the first type of Chi-feng. The second type of Chi-fengs refer to certain dialogues between accomplished Ch’an masters. The inner meaning was abstruse while the words they used could sound meaningless or self-contradictory. For example, one master may say, “It is raining in the eastern mountains, the western mountains become wet” Another master may say, “A mud ox enters the sea and nothing has been heard of him ever since.” Such words, when recorded, sometimes became kung-ans which later practitioners will practice on. Chuan-yu are words or things that turn around one’s conceptions and attitudes. An example is a story of Ch’an master Pai-Chang. Once while he was lecturing, a certain old man, with white hair and white beard, was sitting among the audience. At the end of the lecture, the old man approached Pai-Chang and said, “Master, please give me a chuan-yu. Five hundred life-times ago, I was already a practitioner. But at that time someone told me that a Ch’an practitioner is not subject to Karma (cause and consequence). Ever since then I have been reborn as a fox, life-time after life-time. Is there something you can say to me which will help me leave the life of a fox?” Pai-Chang said, “Listen, instead of saying not subject to cause and consequence, you should say — cause and consequence never fails.” After hearing this, the old man was very happy, bowed three times and left. Later that day Pai-Chang and his disciples picked up the corpse of a fox and they gave him the burial of a monk. This kung-an may not be a true historical event, but it illustrates how just a few words can turn around deeply-attached-to ideas, and bring great benefits. If a person takes a certain direction, there may be a wall and he cannot pass through. But if you turn him around, maybe right there, there is another path.